Bennett has a wonderful personality, she is a very confident and outgoing girl who loves to be the centre of attention. She is very balanced, with excellent movement and fantastic pigment. Bennett loves to get out in the ring when given the chance and is a true pleasure to have around. Bennett's hip score is R06/L08=14; Elbows 1a/0. More pictures and a copy of Bennett's pedigree can be seen below. Please click on the thumbnails to see a larger version of the picture. 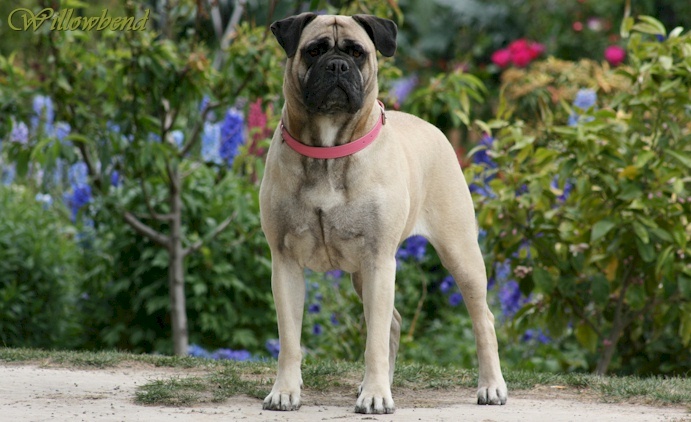 All photos are copyright © and are not to be used on other websites or in other publications without the express permission of Akylah Bullmastiffs.